"We feel truly blessed to have found them, and we are very grateful for all that has been done for our dog, while considering our family's needs as well. i would highly recommend them to anyone who needs a specialty of emergency service for their pets"
Welcome to MedVet Pittsburgh, formerly University Veterinary Specialists. We believe that the right approach to pet care, alongside the right medical tools and expertise, can make all the difference in achieving the best outcomes for our patients. That is why we partner with your family veterinarian and serve as an extension of their practice should your pet need emergency or specialized care. If your pet is facing an emergency situation, you may come directly to our hospital – no referral is needed. Our compassionate team of emergency doctors and staff are supported by board-certified specialists. We are driven to provide high-quality, personalized treatment for your pet’s health when it matters most. We perform emergency trauma care for dogs and cats 24 hours a day, 7 days a week. In addition to emergency services, our hospital offers specialty services by referral in 7 different specialties including Dentistry, Emergency Medicine, Internal Medicine, Oncology, and Surgery. MedVet Pittsburgh’s board-certified specialists provide care that is custom-tailored to your individual pet’s health needs. 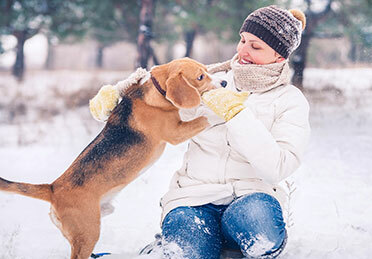 At MedVet Pittsburgh, we know that experiencing a medical trauma or other medical difficulty can be stressful, so we make the process as easy as possible and deliver a compassionate touch along the way. This patient-centric approach is evident in everything we do, from scheduling your appointment to consultation and beyond.